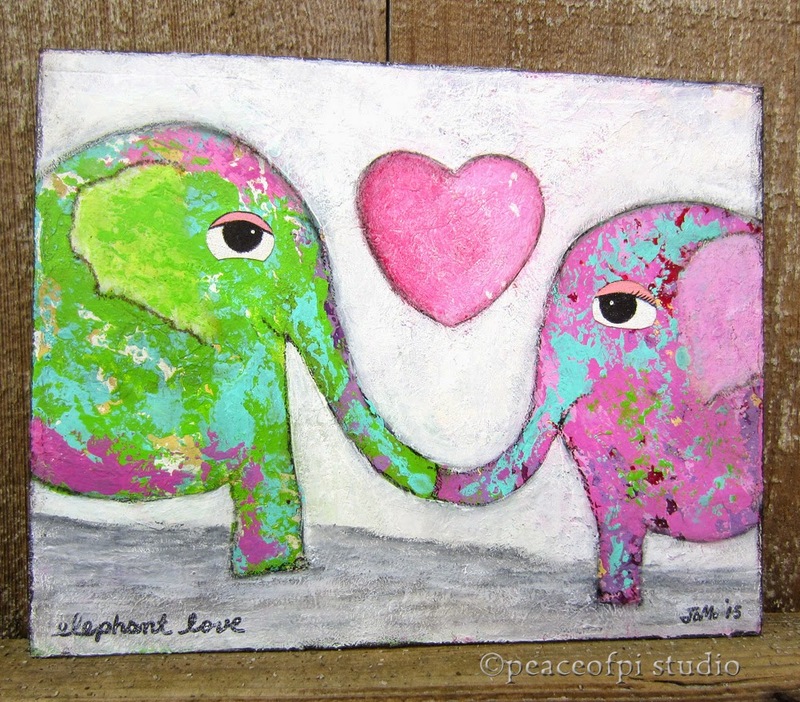 In bright colors, this folk art painting shows a touch of elephant love. A happy heart emerges as these pachyderm pals touch trunks. The painting is created in acrylic on wood. The elephant's colors are painted layer upon layer, making for some cheerful, playful elephant fun.